Looking closely at other industries can give you great insights and ideas you can steal for your own business. Although my guest today has a financial services background he’s enjoyed his most recent successes in the online digital world. I couldn’t pass up the opportunity to talk to Neil and hear the story of how he created new social media platform Natter.com. And learn from his experiences building digital products. Listen to how Neil came up with the concept of Natter and how its simplicity could change your thinking style. Hear about useful concepts like MVPs – that’s Minimum Viable Products and how we could apply these to the financial services industry. Click here to TWEET this Episode. Prior to being an entrepreneur Neil had a financial services background working for over a decade at Goldman Sachs and also at the Swiss private bank Lombard Odier. Neil also spent five years as a board director helping to grow a financial services social enterprise called Fair Finance. A little known fact about Neil is that he spends Sunday mornings ringing Church Bells. Don’t miss an episode of the MPAF Podcast – subscribe now. If you enjoyed this episode – Neil Stanley on Natter and Lessons from Technology Start Ups – please leave a comment or a review on iTunes. And if you know anyone who would enjoy the show – please share it with them. You can use the buttons below to share on social media. Spotting the needs of niche customers and developing a specific product makes good business sense. My guest today realised that his consultancy business model wasn’t suited to smaller companies looking to comply with Auto Enrolment. So he built his own online solution for that niche called “AE in a Box”. This is the inspiring story of how Chris used digital technology to simplify a complex process. Hear how Chris built “AE in a Box” and the challenges he faced on the way. Listen to how he took the concept to market and the lessons he learned. Chris’s experience proves that anyone can develop their own products thanks to tools available online. Don’t miss this fascinating story from a real expert on Auto Enrolment. Chris is the director of both Principal Financial Solutions and The Auto Enrolment Advisory Group as well as being an experienced financial planner. The majority of his clients are directors of owner managed businesses and Chris considers this to be his particular area of expertise. However, more recently Chris has specialised in helping firms of all sizes (ranging from 1500 through to 30 employees) with the challenges they face whilst meeting the employer duties relating to automatic enrolment regulation. Chris won “Bluebook Newcomer” and “Pensions Adviser of the year award” at the Unbiased adviser awards 2014 and was runner-up (for most innovative business) and finalist (for ‘Real Life Entrepreneur’) in last years London FSB Awards and won “Group Pension Adviser of the Year” and was commended for “SIPP Adviser of the Year” at the 2014 FT Adviser Life and Pension Awards. Over the past few months Chris has been instrumental in launching AE in a Box – a software tool designed to empower small employers comply with Auto Enrolment regulation in the most straightforward way possible. Chris is married to Cassie and has two daughters, Charlotte and Sophie. One thing you might not know about Chris is his cousin was the first “Ronseal Man” and the first person to use the phrase ‘it does exactly what it says on the tin’ on primetime TV. Influence – The Psychology of Persuasion by Robert B Cialdini. Thinking Fast and Slow – by Daniel Kahneman. Getting Things Done – by David Allen. If you enjoyed this episode – Chris Daems on AE in a Box and The Power of Three – please leave a comment or a review on iTunes. And if you know anyone who would enjoy the show – please share it with them. You can use the buttons below to share on social media. Is “Financial Rescue” a Better Name than Daft “Protection”? 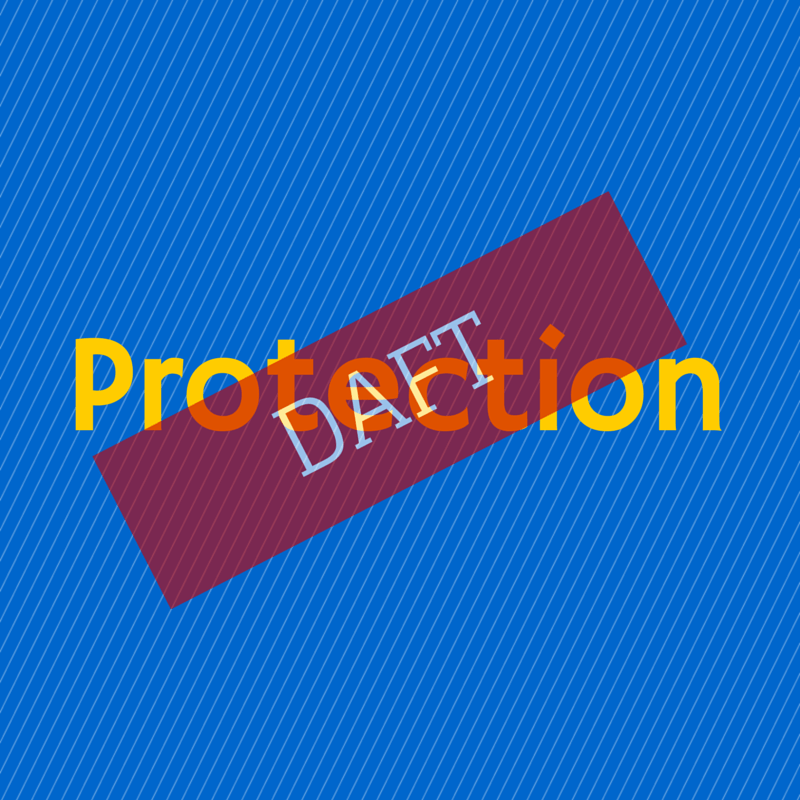 Protection is a daft name for personal insurances. I’ve always known that but inertia means we all stick to using it. But maybe it’s about time we did change it to something that means more to our customers. Google “protection” and you won’t find links to financial products like life insurance and critical illness cover on the first few pages. You’ll find insect repellant, condoms, airbags, and warm clothing. To the man on the street, it’s fairly obvious what these products provide protection against. Insect repellent protects you from getting eaten alive by mosquitos when you go to the Caribbean. Or by midges if you go to Scotland. Condoms protect against unwanted pregnancy and sexually transmitted diseases. Airbags protect car drivers and their passengers against injury in an accident. Warm clothes protect you against the cold. So, following the same logic from those bleeding obvious statements, it’s easy to work out what protection insurance is for. Isn’t it? Life insurance protects you from dying. Critical illness insurance protects you from getting a critical illness. But of course they don’t, do they? Life insurance protects your family or business against the financial consequences of dying. Critical illness cover protects you, your family or business against the financial consequences of getting a critical illness. So it’s not immediately obvious what our type of protection does. We need to explain it. And we don’t engage people, as a result. So what could we call it as an alternative? I recently took out a week’s trial on a software package called Grammarly. For writers, it checks grammar, spelling and points out when you overdose on passive language. My son was finding English difficult at school and I thought it would help. I forgot about the seven-day deadline and soon had a year’s subscription. I started using it to check my work. First of all it shouted at me. I was using the word “protection” too often it screamed. Helpfully it provided some alternatives. “Security” was its favourite. But “security” is just as inappropriate as “protection”. So no help from Grammarly just a reminder that I overuse a term no one understands. Then I was listening to Alan Newman speaking at the Protect Association meeting in London on the 16 January. He suggested we should rename protection as, “Financial Rescue”. 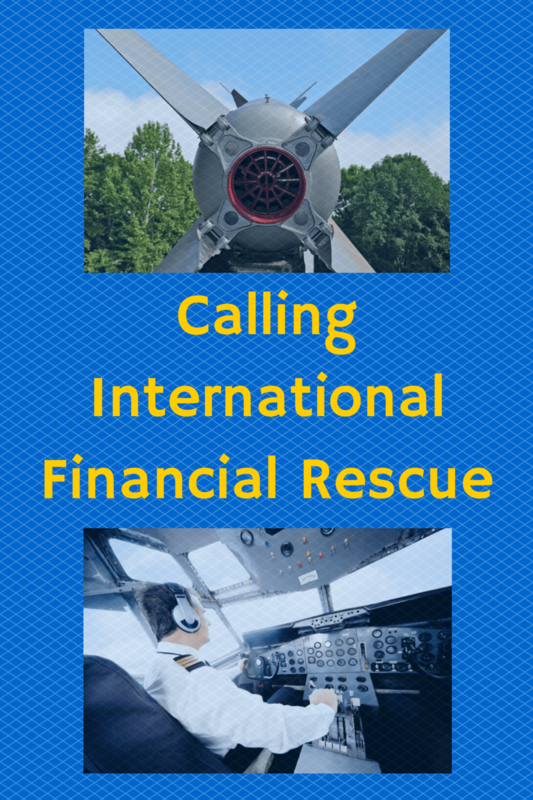 Then the geek in me started thinking about International Financial Rescue and I started humming the Thunderbirds theme tune. In my head, I could already see the TV advert (and the size of the budget I’d need to pay the royalties to Gerry Anderson’s estate). Thunderbird One is life insurance. Thunderbird Two is critical illness cover. And Thunderbird Three is income protection. Take out a subscription to International Financial Rescue and if you become ill or die they’ll send in the Financial Thunderbirds to sort you or your family out. Okay International Financial Rescue exposes me as a Sci-Fi Fanboy. But that a better way of describing protection insurance? What do you think? What other alternatives could we use? Please post your ideas as a comment below. Or post a link to your own articles.